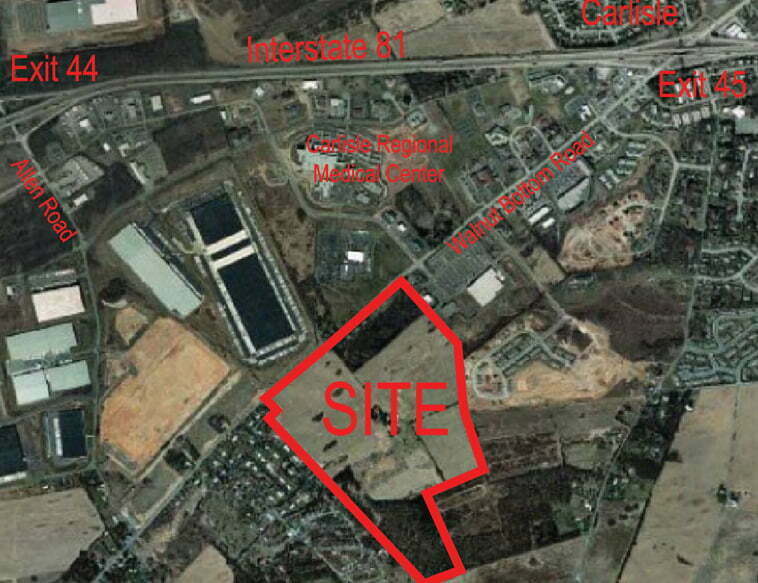 127± acres of vacant land suitable for retail, office and residential development. Located within .25 of a mile from Carlisle Regional Medical Center, with many medical rehab centers nearby, and is minutes from historic downtown Carlisle. Perfect site for the development of a Continuing Care Retirement Community (CCRC).